I will be honest- this rainbow fruit layered lemonade mostly came to be because dragon fruit is back in season here in Saipan. And we keep seeing pink ones (at the grocery store, they sell some dragon fruit already halved, so there is no ‘which center color am I getting’ dilemma)! 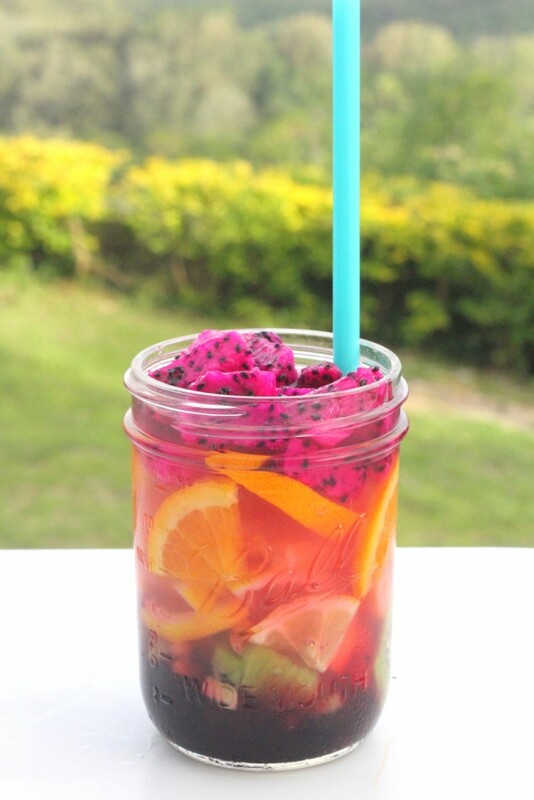 And, seriously, what is more fun than lemonade with awesome neon pink dragon fruit in it? 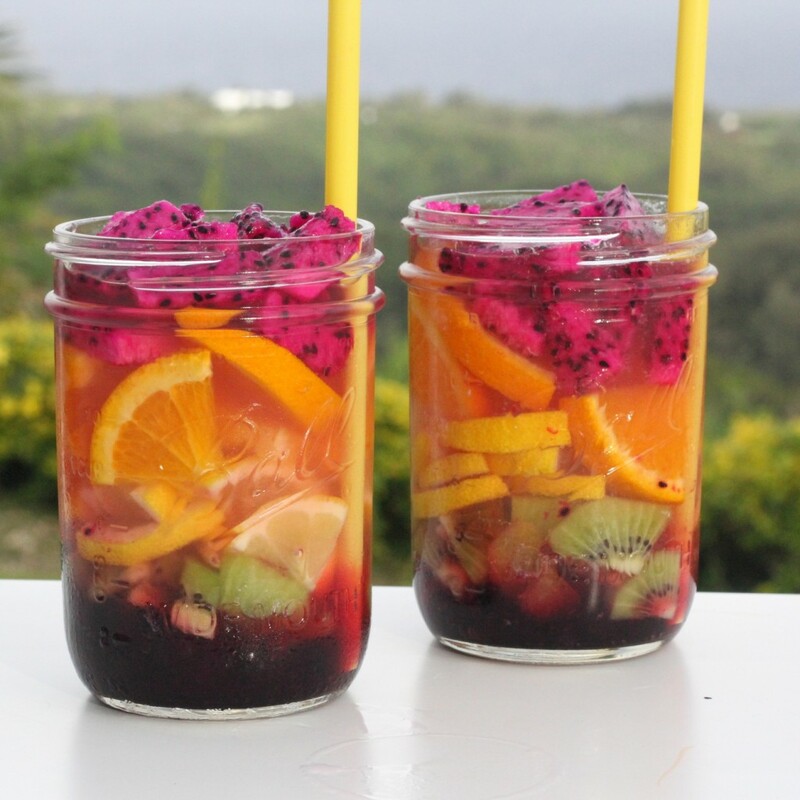 Well, lemonade with a whole rainbow of fruit layers. Haha! 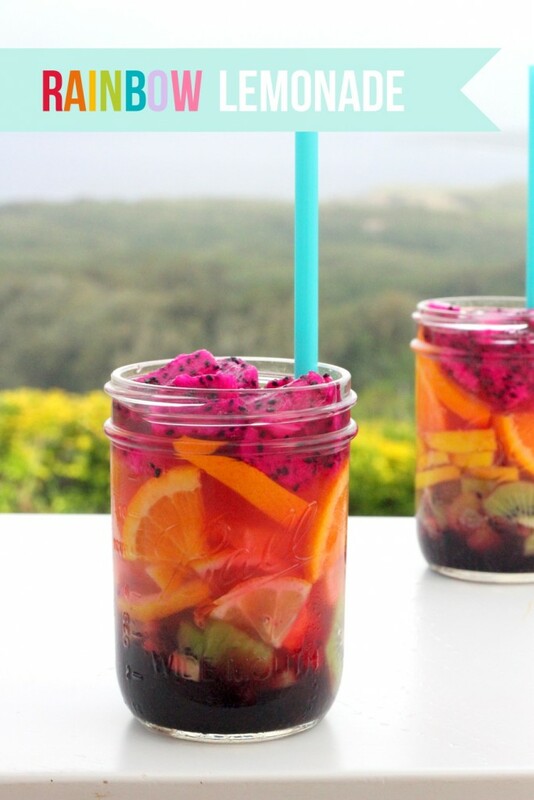 Turns out, these rainbow layered lemonades are not just fun to look at (and easy to put together), the kids LOVED them. We refilled the lemonade a couple times, and then they ate all of the fruit, even the lemons. Maybe lemonade soaked lemons are not as tart? 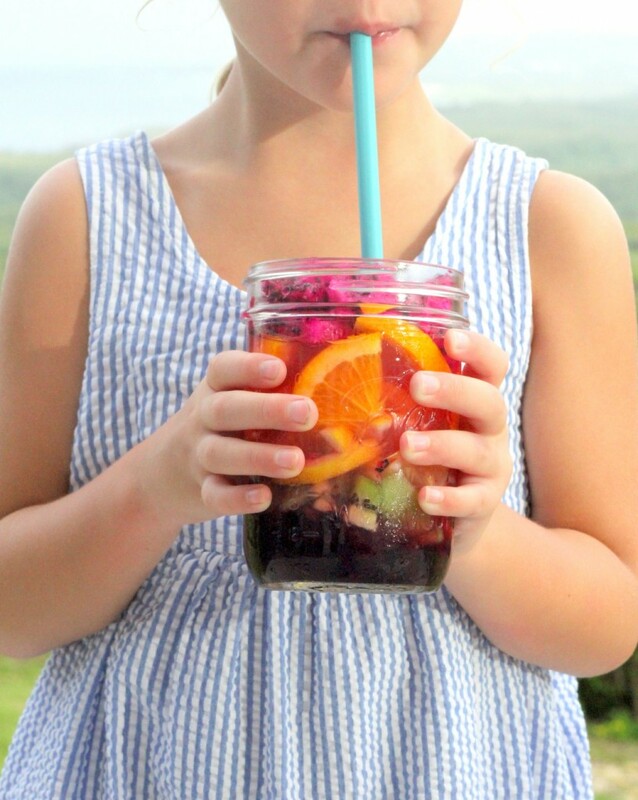 To make these “rainbow lemonades” (that the kids keep calling Crazy Town Lemonades- ha! 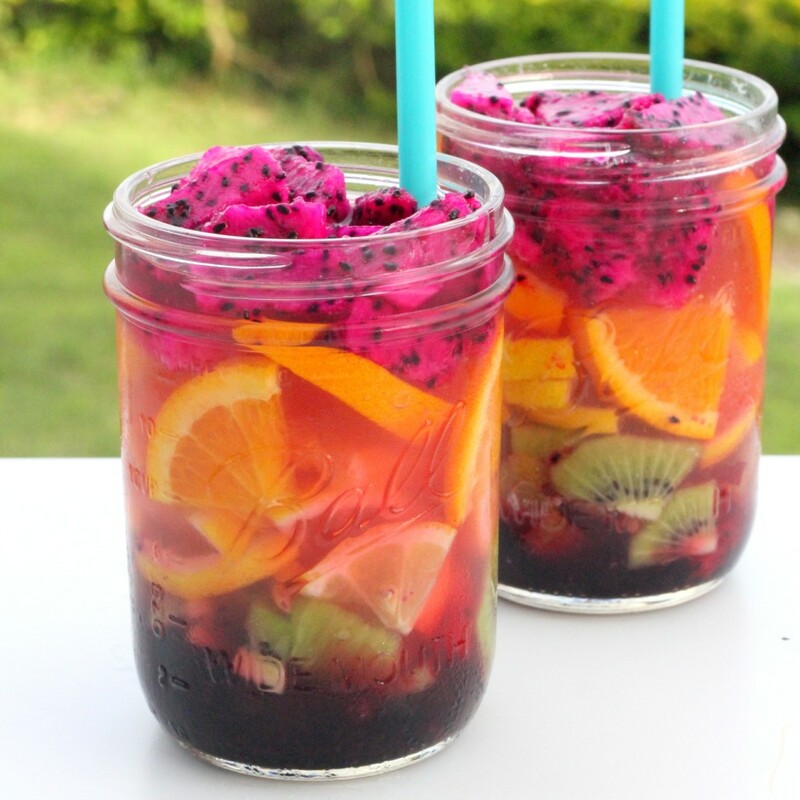 ), we cut wedges of plums, kiwis, lemons, oranges and dragon fruit. Then we layered the fruit, starting with blueberries at the bottom and working to dragon fruit at the top, and poured lemonade over the layers. Perfection! If I were attending a Fourth of July picnic this weekend (instead of pouting because everything here has been cancelled because of Typhoon Chan Hom barreling our way), I’d bring these. For sure. Maybe you can redeem my dire Independence Day situation by celebrating extra for us?? ?